This 20-room former governor's mansion is Middlebury's only classic Vermont country inn and offers the essence of New England warmth. Located in historic Middlebury, Vermont, this 20-room former governor’s mansion is Middlebury’s only classic Vermont country inn and offers the essence of New England warmth. Inside, candlelit dinners await you. Large, comfortable rooms offer modern amenities in period decor. Relax, sip a glass of wine by the fire, or ponder your favorite book in the library while the kids explore the garden or sled on a nearby hill. Enjoy complimentary 24-hour coffee service, cookies, and Middlebury’s only accommodation where a full breakfast is included with your room stay! Middlebury College and downtown Middlebury shops are a short walk away. 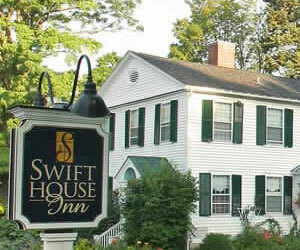 A highly recommended historic Vermont Inn. Ask us about Middlebury VT Lodging. If you would like to add your Middlebury Vermont Country Inn, Lodge or Bed Breakfast Inn to this web site, please contact us.